Superdry men’s vintage logo XL hoodie. 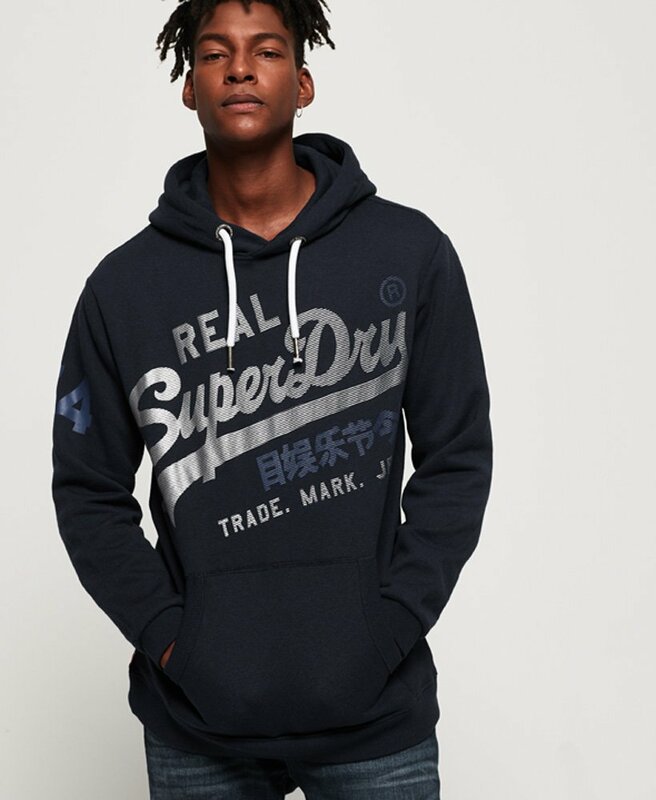 This hoodie features the iconic Superdry logo across the chest, a draw cord hood and a number logo on the sleeve. This hoodie has been finished with a large front pocket for practicality, ribbed cuffs and hem as well as an orange tab in the seam. Team this hoodie with your favourite jeans and trainers this season.